Cooper Wiring Device Midway commercial wallplate is 0.375-Inch longer and wider on all sides than standard to cover large wallboard openings. It has virtually unbreakable polycarbonate construction for high structural rigidity and long term form retention. The Screw-Catch™ feature holds the plate mounting screw captive for easy installation. It has color-matched mounting screws captive in 1- and 2-Gang plates that help to eliminate the lost screws. 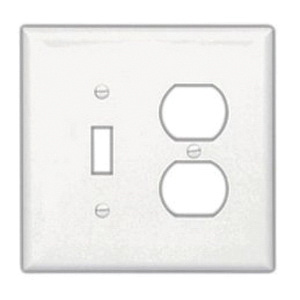 Wallplate meets cULus listed, UL 514D, meets federal specification WP-455, C22.2 No. 42.1, CSA File #9294 standards.